“I am a victim of lots of inaccurate publicity” Sean Dunne is quoted as saying in an email used as evidence in court. PROPERTY DEVELOPER SEAN Dunne has lost his High Court bid to overturn his Irish bankruptcy. Dunne was declared bankrupt by the Irish courts last July over a €164 million debt to Ulster Bank. Now residing in Connecticut, Dunne had already filed for a bankruptcy petition in the United States. Dunne tried to set aside the Irish bankruptcy, arguing that he hasn’t lived in Ireland since 2007. However, Justice Brian McGovern today rejected arguments by Dunne that the bankruptcy should be set aside and decided to allow the “parallel proceedings” in Ireland. Having carefully considered the appropriateness of a “dual bankruptcy” in this case, I am quite satisfied that it is proper in this case for the Adjudication to stand, having particular regard to the views of the US Bankruptcy Trustee. An email exchange presented in court dated 8th November 2010, between Mr Paul Kelly, an officer of the petitioner and Sean Dunne, Kelly queried newspaper reports indicating that he had taken up residence at an address in the United States. Please note I don’t normally comment on idle press speculation, but in this instance for the purpose of clarity will do so but don’t expect me to do so in the future. I am not living in the Belle Haven gated community. … My Domicile is Ireland. It is not a secret that I like every other property developer in Ireland is seeking work and development opportunities outside of Ireland . I am also seeking to interest funds in investing in some of our developments in Ireland which is a challenging process. I have a duty and obligation to try and provide for my wife and young children and do not believe I should have to explain or account for my lawful movements to anybody in doing so. I have refrained from speaking to the press over the last two years and you are well aware of the daily publicity regarding bankers and property developers generated in Ireland. I am not satisfied that the bankrupt has discharged the onus upon him to show cause for the Adjudication to be set aside on the basis of his domicile. While it is clear that he now resides in the United States, I have particular regard to his plain and unambiguous statement by email to an officer of the petitioner on 8th 2010 that, ‘My Domicile is Ireland’. The judge said, “it is impossible to envisage any alternate interpretation other than that the bankrupt, by his own admission, was domiciled in the State within the three years preceding the presentation of the Petition”. He added that Dunne had asserted he “rarely” visits Ireland and has only travelled here twice in the past 12 month, but the judge said he had to take into consideration the three year period prior to him being presented with the Irish bankruptcy petition. Another email from Mrs Gayle Dunne from December 2010 to Sotheby’s International Realty states: “… he [Sean] spends far more time in Ireland than the US and has 200 employees and 3 hotels in Dublin, it is unbelievable that they are describing him as a refugee who ‘left Ireland’…”. In reference to a K Club property Dunne reportedly owned, the judge said that Dunne “claims never to have owned the property” adding that he found the evidence “inconclusive” as to the ownership of the building. The evidence he stated “remains somewhat vague”. In conclusion, due to the evidence cited, he said he had to “refuse the bankrupt’s application”. 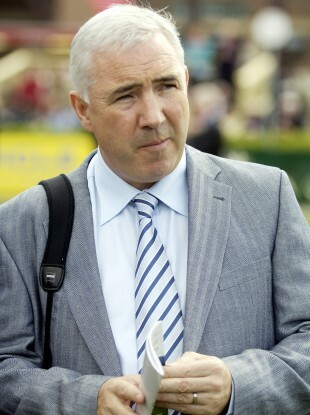 Email “Sean Dunne fails in bid to overturn bankruptcy”. Feedback on “Sean Dunne fails in bid to overturn bankruptcy”.